MOSCOW, March 9. /TASS/. 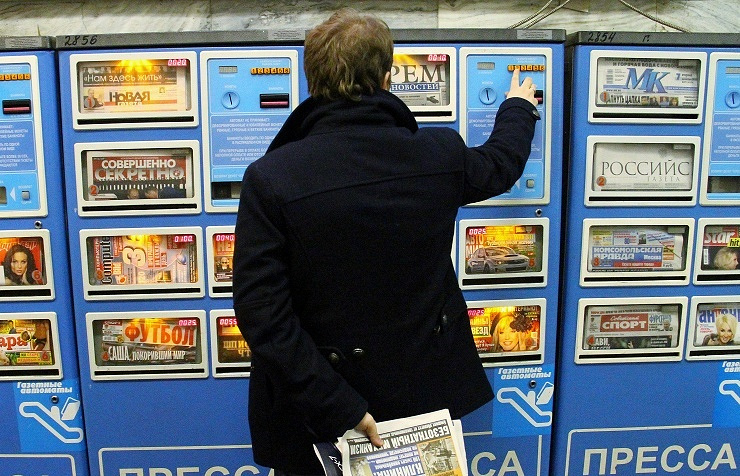 The number of media outlets registered in Russia surged by 24% in January 2016 hitting four-year highs, representatives of MediaDigger media database platform reported Wednesday in their study of all active and officially registered media services in Russia. "For the first time in four years the number of media outlets registered in Russia rose by 24% in January," MediaDigger said. "In 2015, media registrations also increased by 11% after declining since 2013," the company’s representative said. The research says 16 organizations were among biggest founders that created 100 and more media outlets in Russia. The biggest founder, Burda publishing house, alone has registered 275 media services. According to the data provided by the Federal service for supervision of communications, information technology and mass media (Roskomnadzor), as of February 17, 2016 more than 83,000 media were officially registered in Russia. Print media, accounting for two thirds of all media, has been dominating as their share in the total number of media outlets stands at 37% and 28% for magazines and newspapers respectively, MediaDigger said. Online media and television account for 11% and 10%, respectively. Almost two thirds of media services have licenses for distributing information across Russia, the research said. Foreign countries accounting for 25% are second most popular as companies can obtain licenses for several countries. 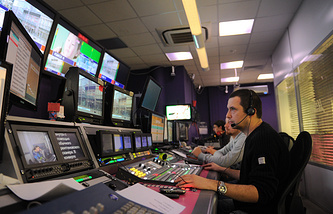 According to MediaDigger, media outlets broadcast in 102 languages in Russia. Those possessing licenses for distributing information in Russian account for 98%, which means only 2% broadcast in foreign languages. English is the second most popular language in the country. "This is the first time a research has covered all media outlets, which are registered and active in Russia, over a 25-year period," founder of MediaDigger, the first media database to specialize in Russia and the CIS region, Timofey Pletz was quoted as saying. "It has been carried out to better understand where and how information is distributed, which organizations are behind the media, what languages and territories are the most popular for distributing information and provide a breakdown of media outlets by type. Mass media plays an important role in society and our research is an attempt to provide an accurate picture based on facts and figures," Pletz said.